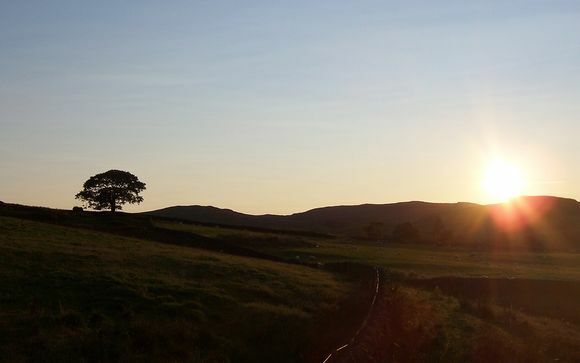 Moniaive, also known as the 'Hill of Streams' (from the Gaelic monadh-abh), is located in a stunning countryside setting where the three glens of Craigdarroch, Dalwhat and Castlefairn come together. It’s a bustling village with a long history and strong community spirit that always proves popular with visitors, who are welcomed with open arms and a cheerful smile. It is a part of Britain that is often overlooked but if you've never been to Dumfries and Galloway, you don't know what you are missing. Travellers sometimes bypass the region as they head north to cities like Edinburgh, or the Scottish isles and highlands. That's a great shame because this relatively small part of the UK has an awful lot to offer. Castles, wildlife, great scenery and bags of outdoor activities… it is everything you think Scotland should be in one small area. Three Glens House is located just outside the tiny village of Moniaive and a real eco-house in the truest sense of the word. Owned by the UK´s Green Energy Farmer of the Year (2011), it is packed with environmental-friendly features, including its own wind turbine, ground source and solar thermal heating. The statistics alone are impressive - 286 railway sleepers were used for timber frames, 500 tons of stone were collected from local fields to build the walls and 2,000 fleeces were taken from local Blackface sheep for wall insulation. The house combines the latest in eco-technology such as triple-glazed windows, with centuries-old wisdom such as the Austrian Kachelofen: a giant clay wood-fired oven covered in lime plaster created by an award-winning ceramic artist. The stunning, central feature of the living area, this oven acts like a giant storage heater and creates an ambient temperature for all rooms. Rugged dry-stone walls extend from the outside in through the interior. Cow-hide seats, natural tones and diverse textures have been chosen by the interior designer to further enhance the appeal. Another notable feature – should you wish it – is music. Connect to your iphone, TV or radio and your favourite sounds can come from ceiling speakers in all (or just some) areas of Three Glens – including the decking which becomes a party space as well as a sheltered sun trap. Enjoy your exclusive use of this outstanding property. This offer is based on a stay in a Master Bedroom Super King Ensuite. Castlephairn is equipped with 1 sumptuous Super-King bed, flat screen TV, complimentary high speed WiFi, en suite bathroom with double sink, walk-in shower, roll-top bath & complimentary toiletries. The room also comes with a full length mirror & hair dryer. The magnificent view across the valley is complimentary. *3rd and 4th adult allocated in a comfortable room. This offer is based on a half board stay. 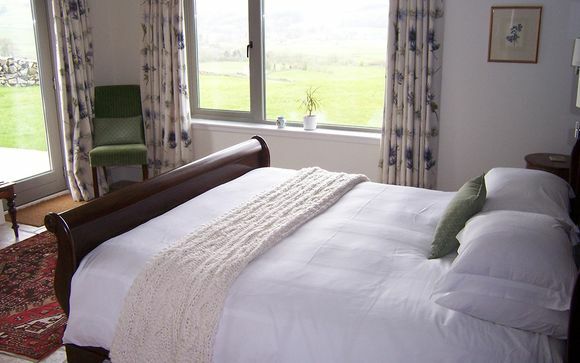 Guests can enjoy a full English breakfast daily plus a 3 course set menu dinner and one bottle of wine each night. Just for you: complimentary Apéritif & Canapes (one evening only). Chocolate Brownie, Yoghurt & Ice-cream. The approximate drive time/distance from Glasgow airport to hotel is 1 hour 40 minutes/78 miles.